We're sure you've read about holidaying at the Croatian coast before. Sounds fun, doesn't it? Well, this is your opportunity to experience it yourself! And there's no better way of doing that other than zigzagging between islands, hopping on and off wherever takes your fancy. Swim in the clear blue sea, dive off incredible cliffs, rummage through colourful local markets, enjoy morning coffee at town centre while people watching, dance the night away in popular beach bars, take advantage of good winds to hoist her sails and clear your head. Don't forget your camera to capture the best moments that will make a collage of your summer holiday your friends will envy. 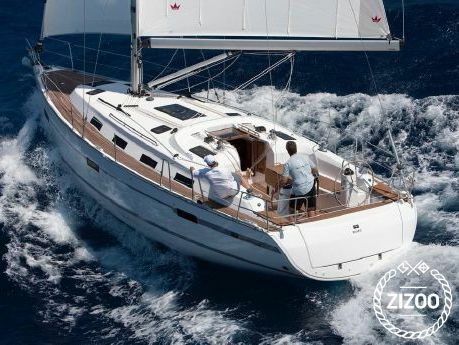 Svarog is another 2013 Bavaria 40 in the Adriatic Charter fleet, based in Sukosan. Her 3 double bed cabins and the saloon will take up to 8 of you. Whether you travel with family or friends, her comfortable interior with good headroom and well-sized beds will provide plenty of space for resting, cooking, or whatever else you like to get up to when taking time off work.